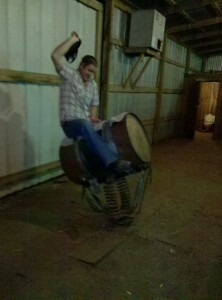 Here is a photo of an old bull we got to ride. Things have changed quite a bit over the years. Times have changed but the craftsmanship that makes a good bucking machine haven’t. We are proud to rent, sell and lease the best and longest lasting mechanical bulls available. You can find cheaper mechanical bulls, but you won’t a higher quality and more realistic ride than with ours.